What could possibly be more lame than touring Oak Park? Touring Oak Park on a Segway, that's what! 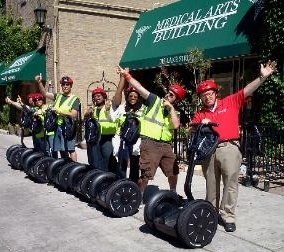 Segway Tours Combine Oak Park History with Fun, Forest Leaves, 9/12/11. "I pledge allegiance to the Earth ..."
Get Out the Way, Oak Park!